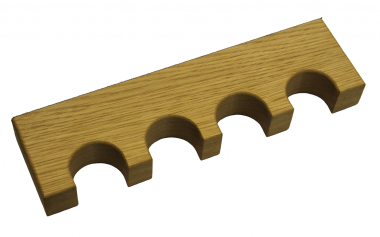 The Solid Oak Magnetic Gun Rest can be attached to the side of a vehicle, in a gun cabinet or on any metal surface providing a secure place to rest your gun. Made in Dorset from Solid Oak, with a soft, suede effect backing which hides and protect the strong magnets. An excellent gift for any shooting enthusiast. Exclusive to The Country Catalogue.